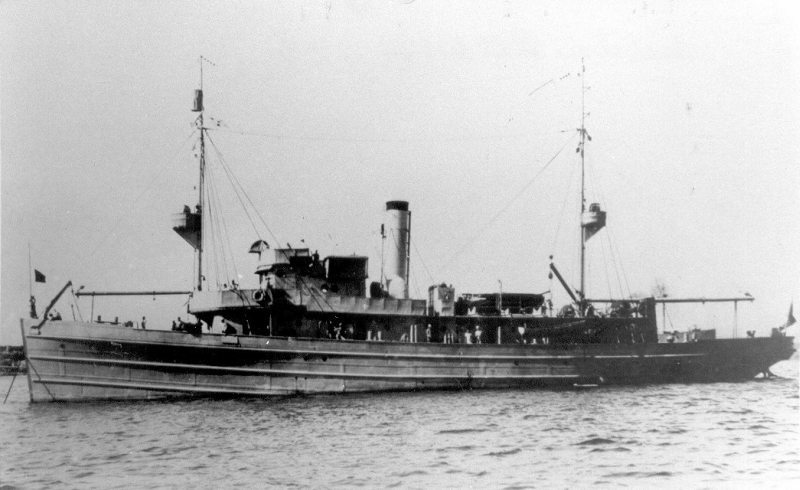 The USS Lark was a Lapwing-classMinesweeper, build in 1918 and commissioned as USS Lark, Minesweeper No. 21 on April 12th, 1919 and designated AM 21 on July 17th, 1920. 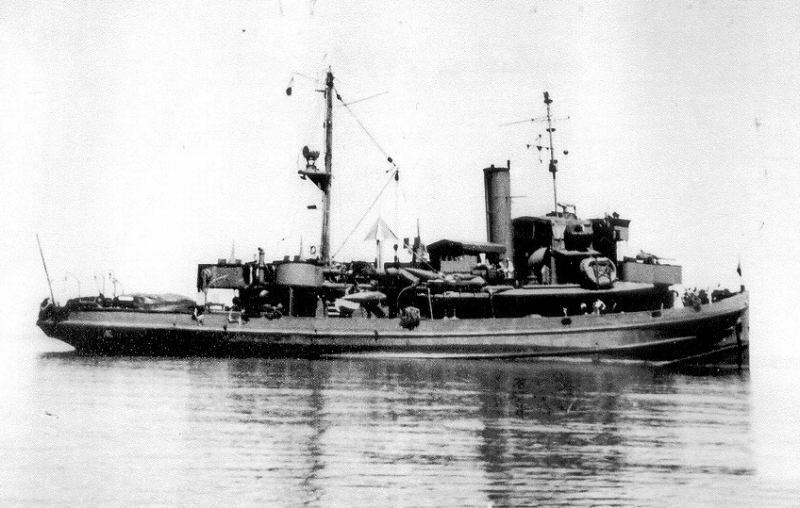 On March 1st, 1944 the ship was reclassified as Fleet Tug, USS Lark (AT 168). USS Lark was commissioned on April 12th, 1919 as Minesweeper No. 21 with Lieutenant Henry A. Stanley as its commanding officer. 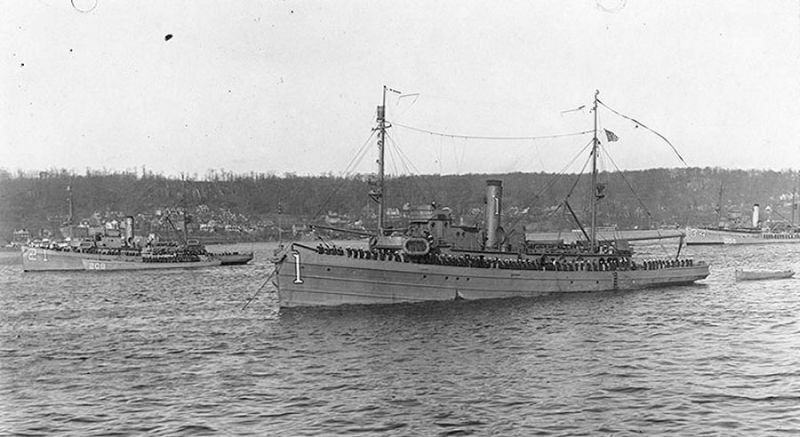 On July 3rd, 1919 USS Lark left from Boston, Massachusetts for Scotland to participate with the Minesweeping Detachment at Kirkwall. Arriving on July 15th, 1919, the ship participated in the last three minesweeping operations in the North Sea. On September 19th, USS Lark finished working and left for the United States on October 1st, arriving in New York on November 19th, 1919. Until 1931, USS Lark was stationed at Gloucester, Massachusetts, sailing along the US East Coast and deployments in the Caribbean. 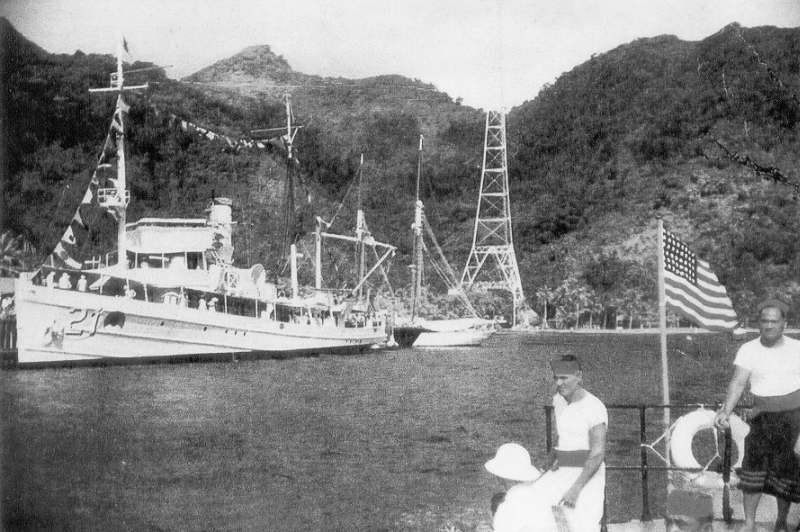 In 1925 the ship was temporarily used in Fleet Problem V, sailing to and from Hawaii. On February 2nd, 1931 the ship definetely departed for the Pacific, arriving at Oahu on April 25th, 1931. When tensions in the Pacific and the Far East increased, USS Lark was stationed in the Philippines. The ship left Oahu on May 8th, 1941, arriving in Manila on May 31st. Here the ship was attached to Mine Division 9, Asiatic Fleet, stationed at Cavite. On December 10th, 1941, Cavite was bombed by Japanese aircraft and USS Lark aided in helping survivors of the bombardment, before leaving for the Dutch East Indies. On December 22nd, 1941 USS LArk arrived at Surabaya Java, where she was used for minesweeping and anti-submarine patrolling. In Ferbuary 1942 she was transferred to Tjilatjap. On February 28th, 1942, USS Lark was on patrol with USS Whippoorwill (AM 35) when they encountered the site where ss City of Manchester was sunk by the Japanese Submarine I-53 (I). Both ships picked up survivors of the ship. USS Lark was ordered to Australia on March 1st, 1942. The following two years the ship patrolled the Australian Coast between Exmouth Gulf and Fremantle. 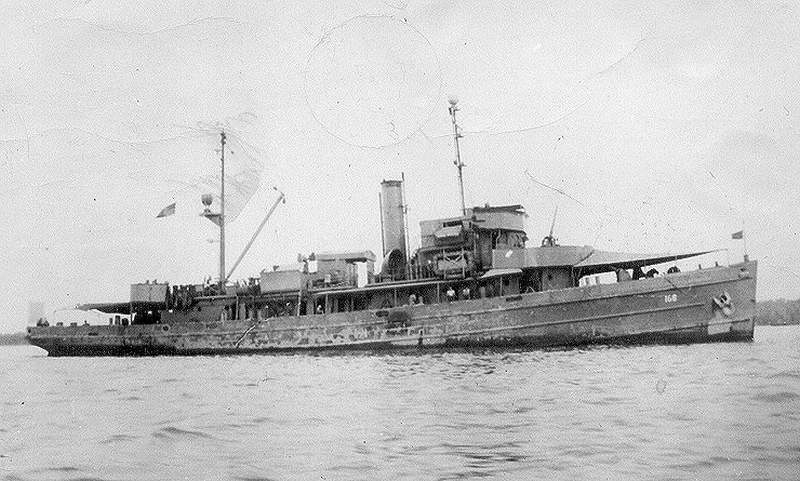 On March 1st, 1944 the ship was reclassified as Fleet Tug, USS Lark (AT 168) and on May 15th, 1944 the vessel was redesignated to Ocean-Going Tug, Old and received the designation ATO 168. The crew was raised from standard 72 to 75. From May 20th, 1944 until July 6th, 1944 USS Lark was fully converted in Brisbane to be used as a tug. 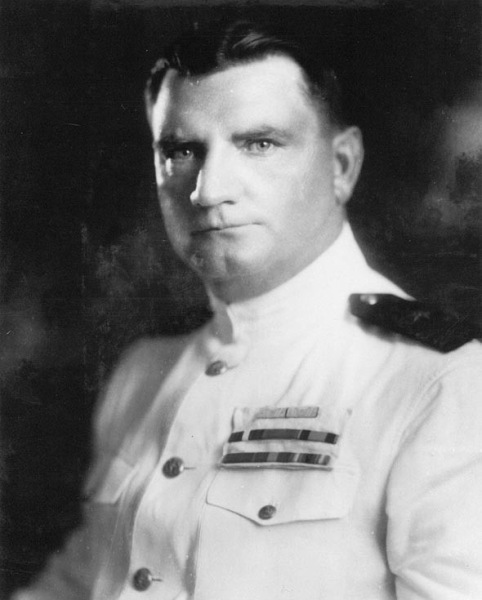 After conversion USS Lark was stationed in the Admiralty Islands, cruising between Manus, Milne Bay, Hollandia and Morotai. October 13th, 1944 the ship left for Melanesia to sail in a convoy for San Pedro Bay, Philippine Islands. On October 25th, anchor was dropped at Leyte Gulf, where she remained until November 9th, 1944. Leaving Leyte with USS Vireo (AT 144) in tow, the ship was transferred to Hollandia, where she was based until October 16th, 1945. USS Lark then departured for Pearl Harbor, arriving there on November 9th, 1945. Halfway November 1945 USS Lark was ordered to sail for San Francisco, whre she was decommissioned on February 7th, 1946 and transferred to the Maritime Commission on January 15th, 1947. 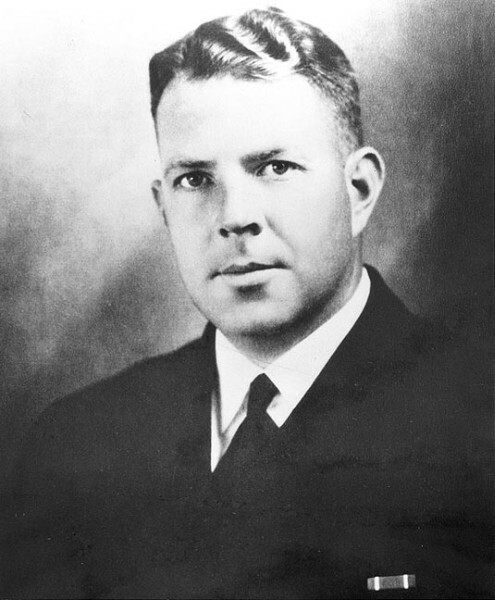 Lieutenant Hugh David Black, Jr.